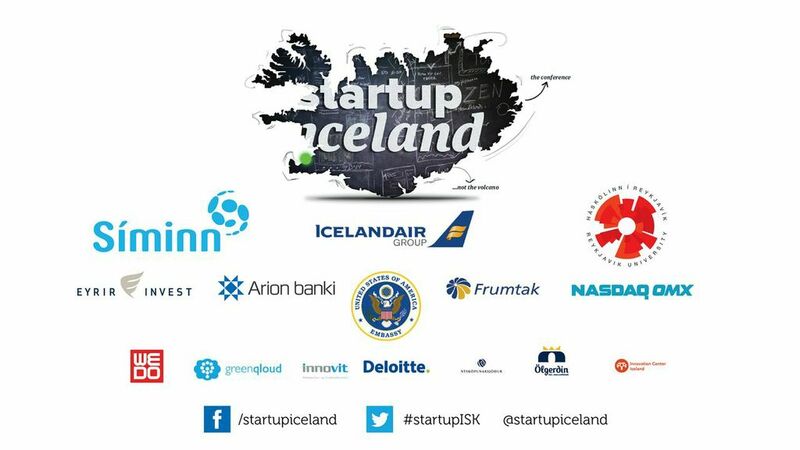 It has been crazy and everything seems like a buzz, but I know Startup Iceland 2013 would not be possible without the support of our wonderful sponsors. Reykjavik University for being extremely accommodating and having a Yes, we can! attitude about anything Entrepreneurial. Icelandair Group for always hearing us out and supporting initiatives. The US Embassy in Reykjavik with the leadership of Ambassdor Luis Arreaga and Eric Green. Siminn our new sponsor this year, coming up with a lot of new ideas to bring entrepreneurship from the largest telecom operator in Iceland. Nasdaq OMX, NSA, Frumtak, Eyrir Invest, Arion Bank, Innovit + Klak, Deloitte, WEDO, NMI, GreenQloud, Olgerdin. The theme of this year is about building an antifragile startup ecosystem and community. With the diversity of sponsors supporting Startup Iceland, I think we have a fantastic base to build a bustling startup community. IMHO, Startup Iceland is about the entire community of Iceland and the World, it is not about high tech startups, its not about only the Internet or technology. We live in a connected world, and Iceland has a role to play as does every other country. Given the opportunity that lies before us, it is upto us to make hay when the sun shines (BTW, the weather forecast for the event does not look that promising, but I am an optimist). We have a very strong show of participation, over 217 (counted), possibly we could be adding another 30. We can only count the number of people who have registered but how many will show up, volunteer their hearts and minds and participate remains to be seen. I am forever in dept to many people who have volunteered their hearts and minds to put this event together (will follow up with a post about the organizing team of Startup Iceland). And of course all our speakers and mentors, who have been extremely positive about their participation and Iceland. I am excited, thrilled, and beyond delirious about Startup Iceland, the event is 3 days away and I am nervous, lot of loose ends to tie up. Make the experience memorable for everyone participating and create a tradition of running events like this in Iceland. I would request all to bear with us, we are a Startup in our own right, if we screw up about anything… please accept our apologies. We mean well and I am eagerly looking forward to meeting each and every one of you and to the coming days. Lets do this!